This is piece is called "Snakes" and was finished in 1969. It was carved out of a large, flat piece of wood. The wood was then painted and pressed onto paper. That is why this work is referred to as being a "woodcut". Look how all the circles link together, even though they are different sizes! 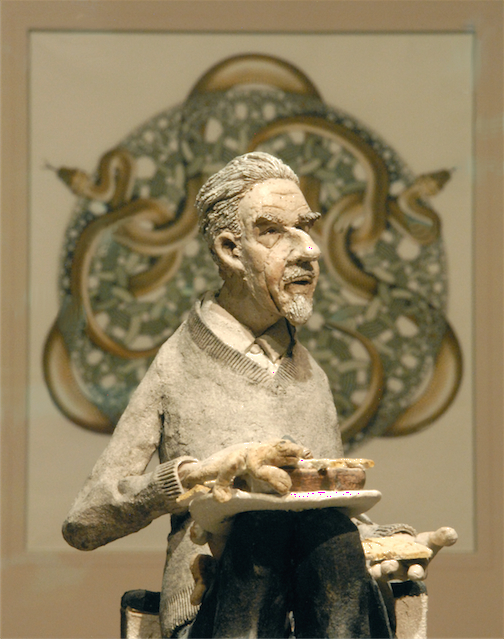 Below is a photo of a clay model of M.C.Escher with Snakes in the background. 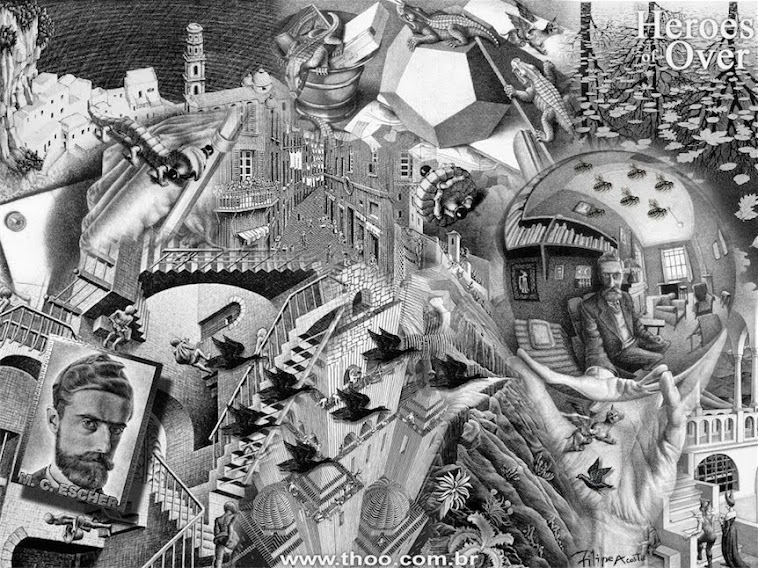 Watch this video a M.C.Escher fan made on the computer. It helps you see how complex "Snakes" is. Below are some junior children's drawings inspired by M.C.Escher's Snakes. 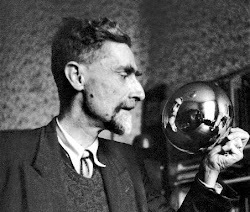 Your task this week is to draw a tribute to M.C.Escher's Snakes. Start with a pencil, ruled border around your page. Sketch your snake with a sharp pencil. Use light lines! Outline your snake with black. Use a vivid if your snake is large. Use a black pen if your snake is smaller. Colour your snake with a pattern. Are you brave enough to pencil in a background? 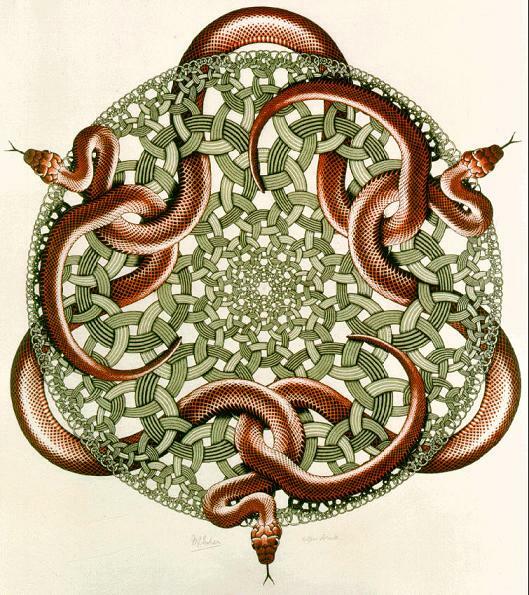 Keep in mind it is meant to be inspired by "Snakes"
Yours should look similar but not the same as Escher's work.